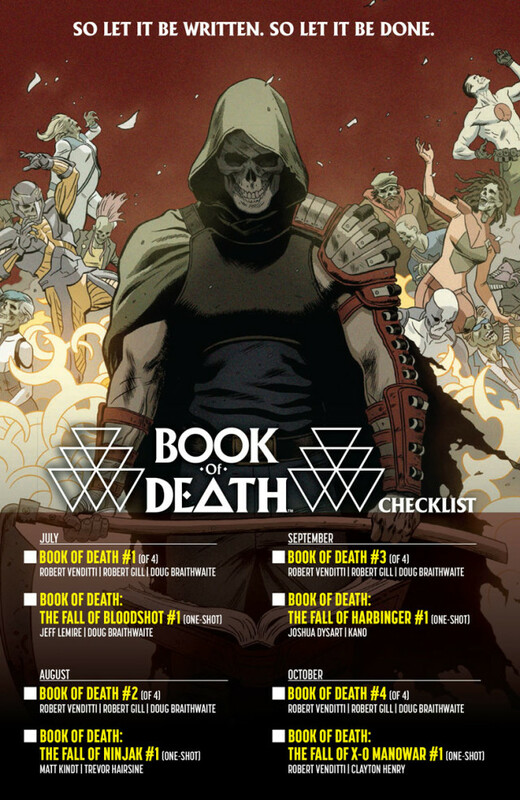 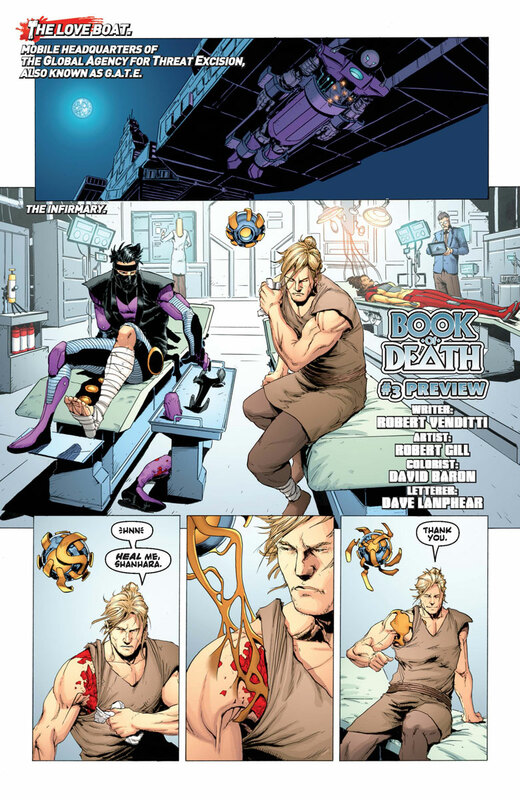 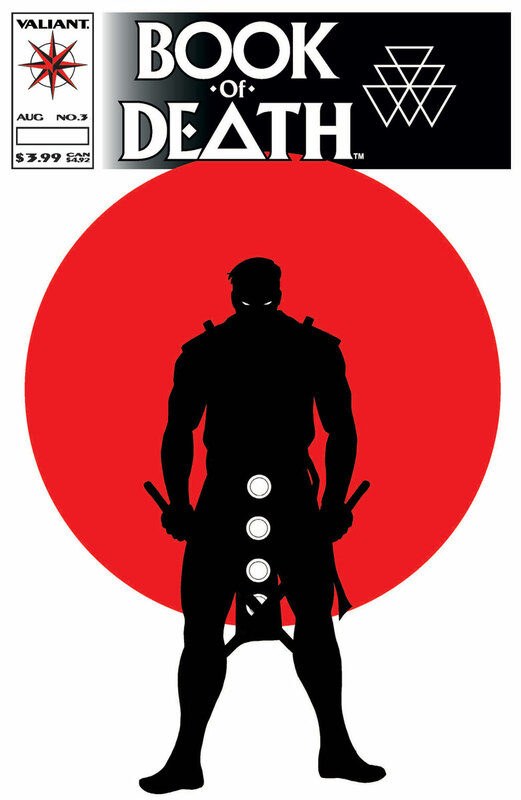 Valiant is proud to present an advance preview of BOOK OF DEATH #3 (of 4) – the next 40-page chapter of Valiant’s smash-hit summer event! 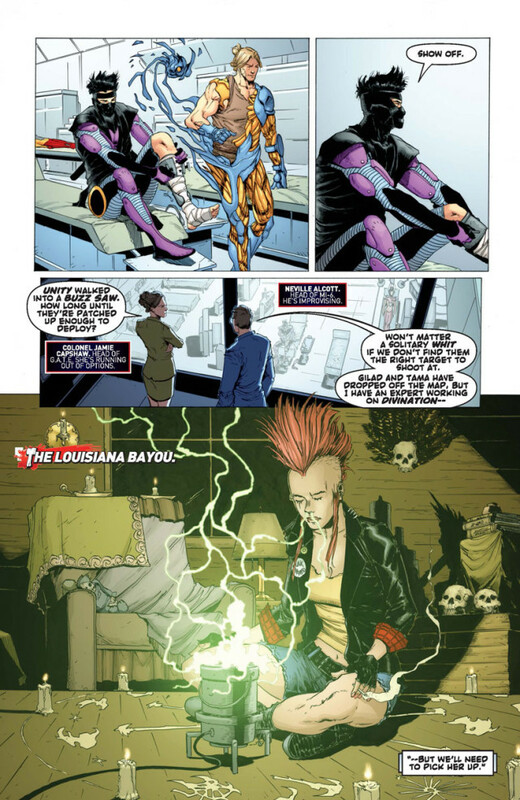 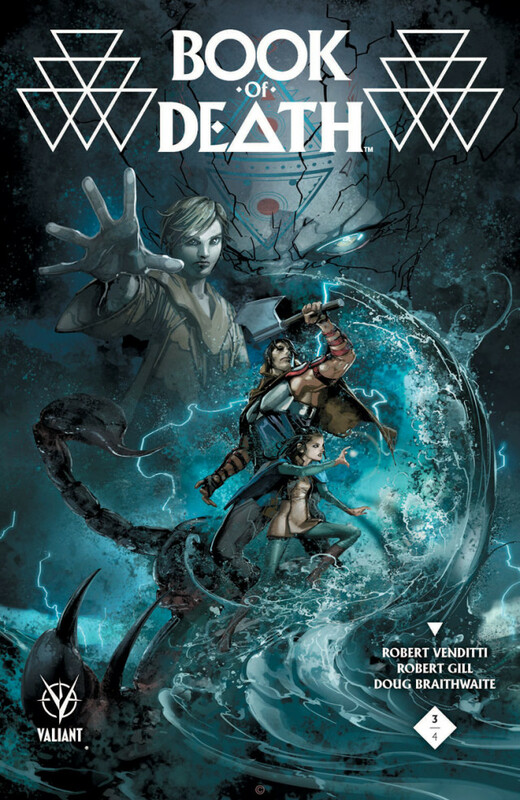 On September 23rd, New York Times best-selling writer Robert Venditti (WRATH OF THE ETERNAL WARRIOR) and blockbuster artists Robert Gill (ARMOR HUNTERS: HARBINGER) and Doug Braithwaite (ARMOR HUNTERS) reveal the sinister mastermind behind the events foretold in the Geomancer’s book as Master Darque descends on the Valiant Universe! 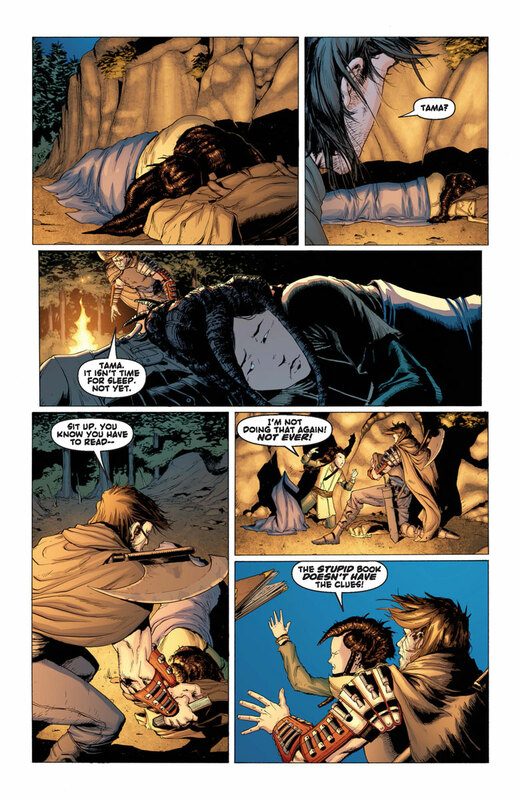 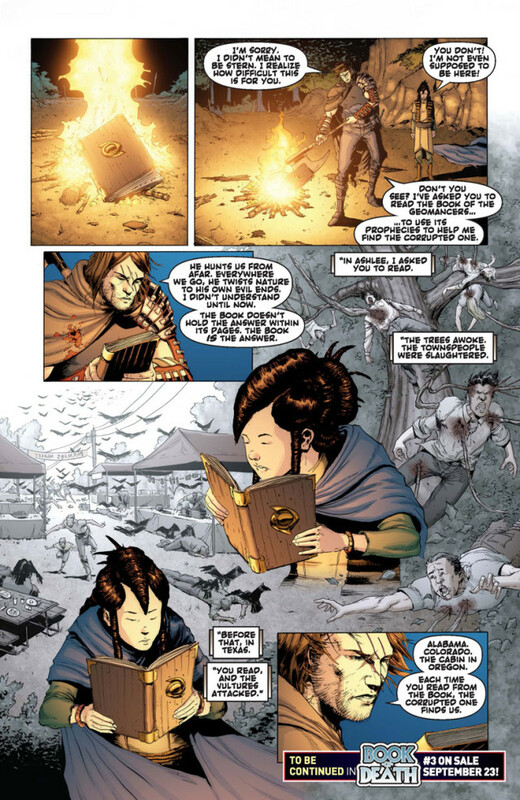 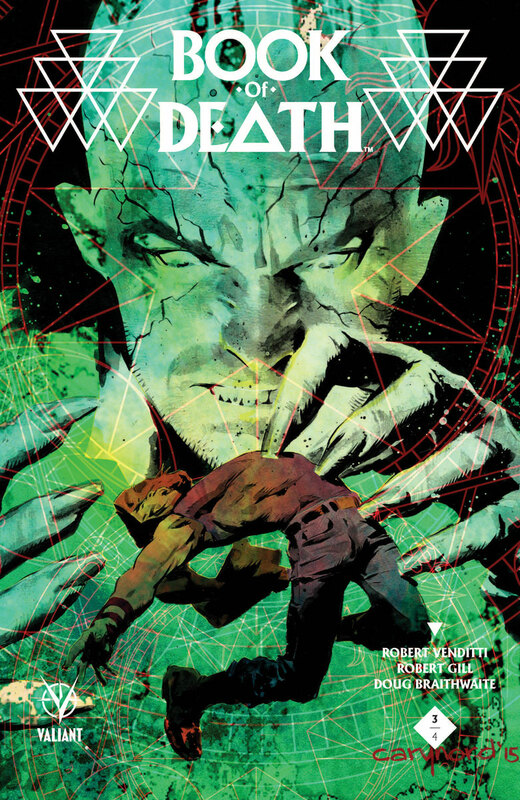 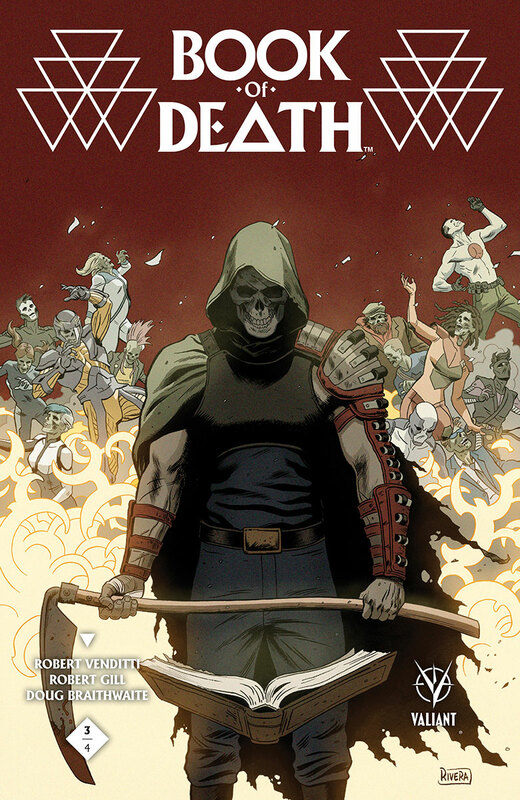 History’s most powerful necromancer has returned with a powerful new ally at his side…and if he can’t manipulate the Eternal Warrior and new Geomancer into joining him, he’ll destroy human civilization instead! As the terrible future chronicled in the Book of the Geomancer continues to reveal itself via a series of horrible, unnatural calamities, an unexpected and untold player – Master Darque – has emerged to make his play for young Tama, the latest in the line of Earth-communing mystics called Geomancers… But does the reappearance of Darque mean that the apocalyptic future foretold by Tama has been avoided…or guaranteed? 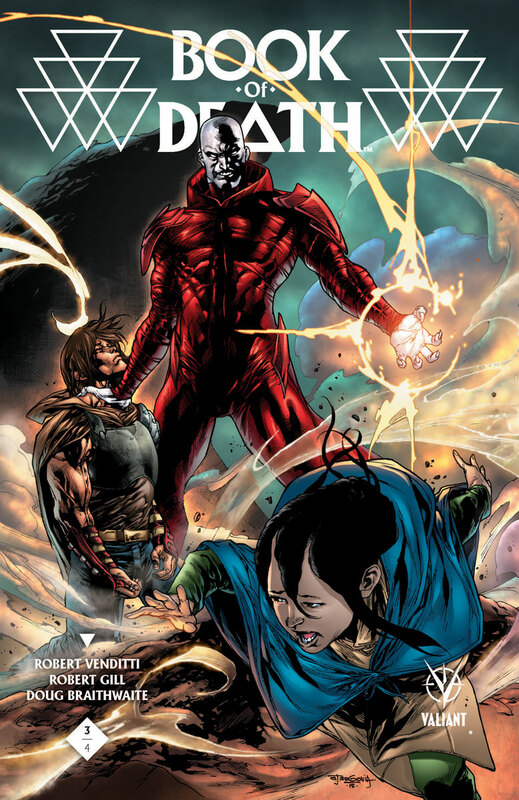 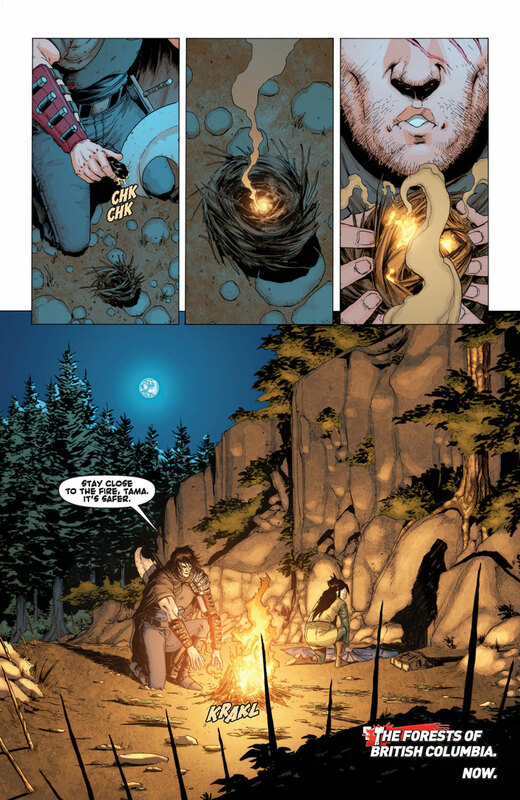 As the heroes of the Valiant Universe fall and nature itself turns on humanity, all that stands between the devastated planet and ultimate evil is the Earth’s undying Fist and Steel himself…Gilad Anni-Padda, the Eternal Warrior!